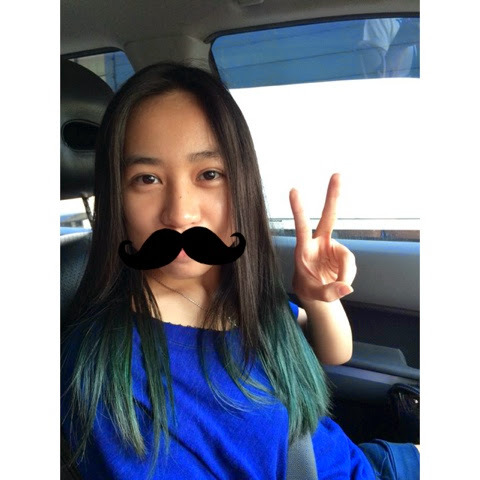 Say HI to the ombre !!! New months which is September and it's actually the month when I start my university day :3 . I am actually so excited but , well I will be missing my home really bad . 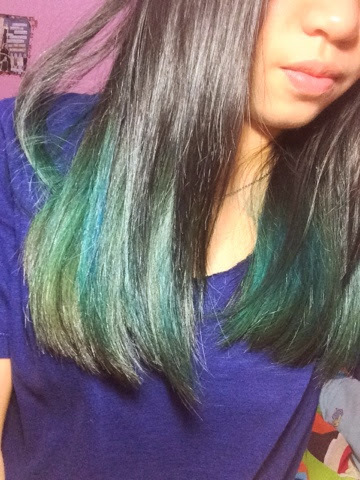 I was actually going to color my hair dark blur , but it turned out to be like emerald green . I supposed its because the bleaching should be until light blonde , but yesterday the salon worker only bleach my hair light brown ..
Well, first experiment turned out to be ok and good .. Makes me curious to try another color soon ! !